Bay View Elementary School student Zephyr Dew swept five Ruggie Boys divisions (for those 7 and under) in the United States of American Snowboard Association South Tahoe Series, including giant slalom, slalom, halfpipe, slopestyle and boardercross this season. Dew [Giro], who is fifth in the USASA National Overalls rankings for his age group, secured his final victory of the season in the giant slalom on March 8, which was also his birthday. 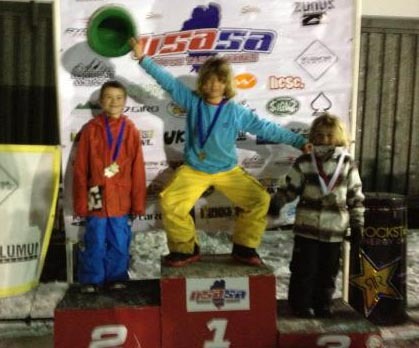 He expects to receive a 2013 USASA National Championships invitation. Nationals will be held in Copper Mountain, Colo., March 31-April 5.